The 1960s were a golden age for female singers and this brought about a host of ‘60s divas, all of whom we loved! 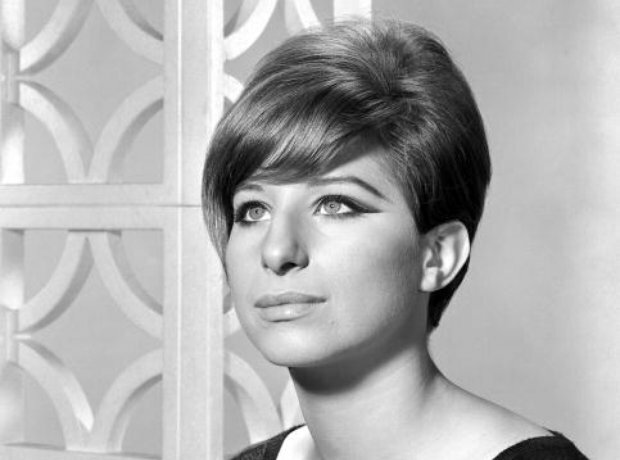 Barbra Streisand was exceptionally popular in the 1960s, recording songs should as ‘People’ and ‘Don't Rain On My Parade’ and recorded a number of songs in the 1970s that were amongst her best work, including ‘Evergreen’, taken from ‘A Star Is Born’. Streisand remains popular to the present day and has just released a new album, Partners – made up of duets with a range of male artists. Proving that her father Frank wasn't the only Sinatra to be reckoned with, Nancy was a force of her own. Her signature song ‘These Boots Are Made For Walking’ was a huge hit presenting a diva-ish Nancy to the world of pop. She also recorded classics ‘You Only Live Twice’ and duetted with her father on ‘Something Stupid’. Sandie Shaw is the only female artist to have had three number one records in the UK in the 1960s and enjoyed great success worldwide. Her best songs include ‘Always Something There To Remind Me’, ‘Long Live Love’ and Tomorrow’. Dionne Warwick benefitted significantly from her relationship with the Bacharach/David songwriting team. Warwick was known for being easily annoyed that other artists "stole" her songs, despite this being common practice in the ‘60s. Her greatest recordings include ‘Walk On By’, ‘Do You Know The Way To San Jose’ and ‘Promises Promises’. Shirley Bassey remained at the forefront of pop success in the 1960s and continues to perform the odd show even now. Considered one of the UK’s best ever female performers, she is best known for her Bond themes, ‘Goldfinger’ and ‘Diamonds Are Forever’. Undeniably a great performer, Springfield produced a host of top hits. Our favourites include ‘I Only Want To Be With You’, ‘I Just Don't Know What To Do With Myself’ and ‘You Don't Have To Say You Love Me’. Petula Clark continues to produce music and released album ‘Lost In You’ in 2013. Her most prolific period in terms of worldwide success was during the 1960s. She stormed the charts with hits including ‘This Is My Song’, ‘Downtown’, ‘Sailor’ and ‘My Love’. Aretha Franklin is one of the greatest female performers EVER and has won multiple Grammy Awards to show for it. She is best known for hits including ‘Respect’, ‘(You Make Me Feel Like) A Natural Woman’ and ‘I Say A Little Prayer’.